Aileen Evans, now retired after a career in teaching and book production, has enjoyed a lifelong love of the outdoors. 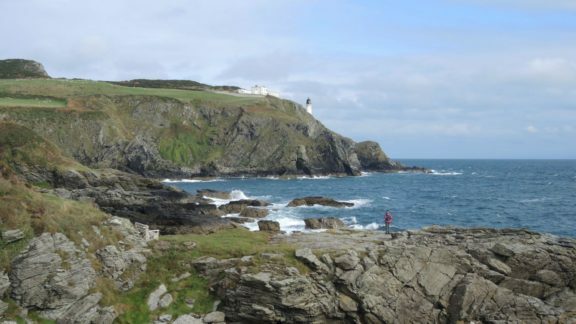 She has climbed, walked, skied and camped in many parts of Europe and North America and considers the Isle of Man a favourite which continually draws her to return. She prefers to linger on a walk, allowing time to appreciate views, to enjoy flowers and wildlife, and delve into things of historical interest. 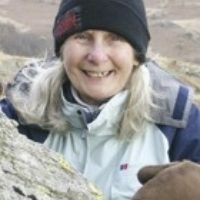 Aileen has always enjoyed adventure sports and sampled most, including pot-holing, wild-water canoeing and alpine mountaineering. She still particularly enjoys rock climbing and exploring new places, often on her mountain bike, away from mainstream tourist areas. Some of Aileen's more memorable tours include cross- country ski-backpacking in France, walking across the remote interior of Iceland and a trek to Iceland's North Cape, and completing the Tour of Mont Blanc and the Alpine Pass Route. At home in Lancashire, with her husband, Brian, and collie, Jess, she enjoys her garden, particularly the visiting birds.